The commission to create Loch Leven Viewpoint was part of the last phase of work to complete the final section of the 13 mile heritage trail circuit around Loch Leven. 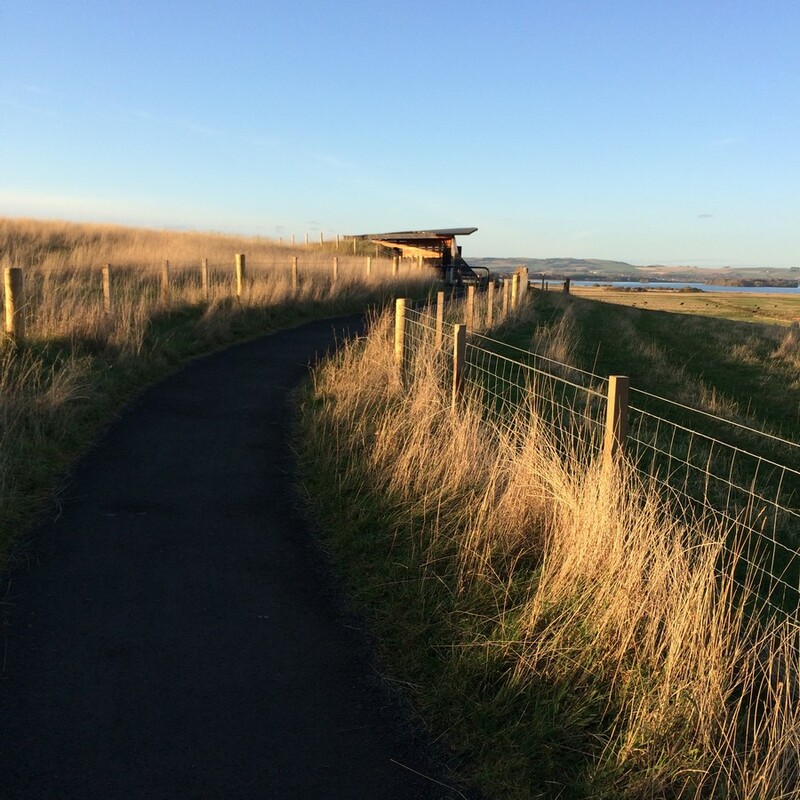 The structure creates a pause at the highest point on the route, cut into the bank of the slope providing shelter and elevated views North across the loch and RSPB Vane Farm Reserve. 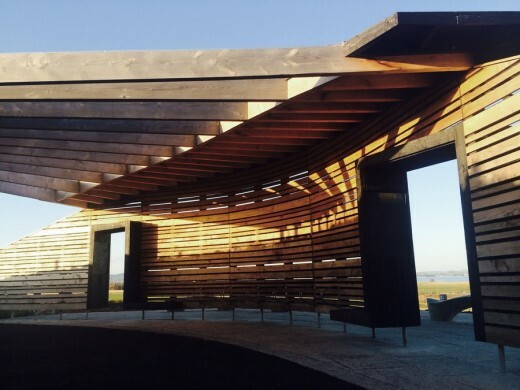 The curved timber screen separates a viewing area from the path and provides additional shelter on this exposed site from the prevailing wind. 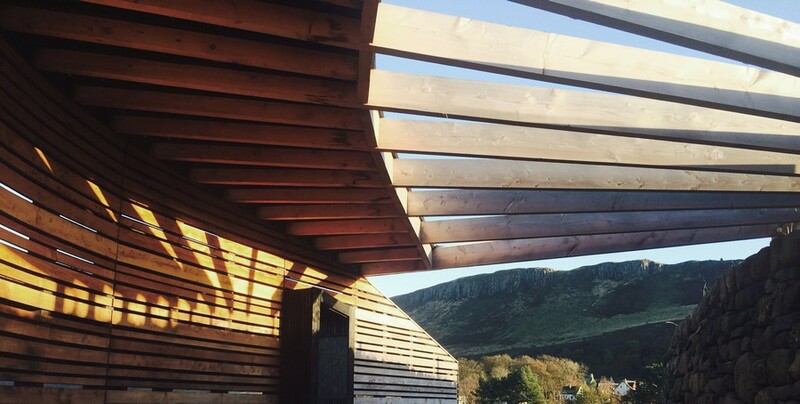 The screen incorporates different widths of hit & miss Scottish Larch cladding board, the back face of each is dark stained to emphasis the horizontal bands between each board. Cantilevered benches are integrated into the screen including a central bench facing the view and two inside:outside dark stained benches which form the entrances and incorporate panels for RSPB information boards. 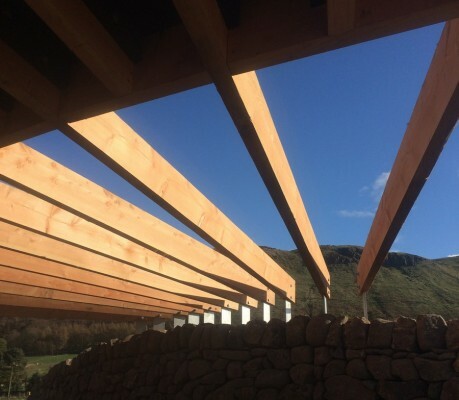 The rubber clad roof projects beyond the screen to provide cover to part of the viewpoint and the main timber beams connect back across the path to the new drystone wall providing stability to the screen and allowing walkers & cyclists the sensation of passing through the structure. 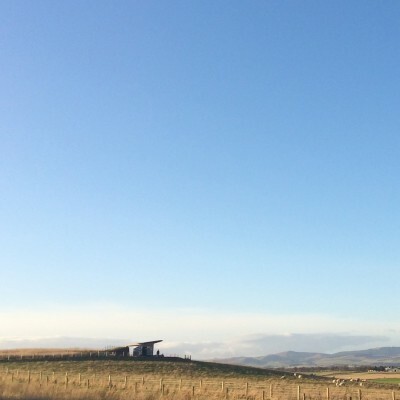 These splayed Douglas Fir timbers are bolted to steel fins connected to a steel structure embedded in the drystone wall. Water is directed from the roof to the ground behind via ss channels recessed into the top of each of the outer beams. The specialist drystone waller used local stones from an adjacent field on the RSPB Reserve to form the curved wall, which was given a slight batter and incorporates a carved marker stone at its centre. Two of the largest stones were laid at either end of the timber screen semi recessed into the ground to provide natural anchor points for the two wing walls. Any excess stones were installed behind the drystone wall as a natural soakaway with soil from the excavations laid above to the top height of the wall. Stone slabs create the definition between the route and viewpoint area, the curved line corresponding with the covered roof above. Cycle storage is provided on the path side and a local stone sculptor created two organic benches and a carved sphere within the main viewing area.